I am delighted to have been asked to become Non Executive Director of 'Class of your Own'. To read their blog about this click here. I have already done some work with Director; Alison Watson, she is a real innovator in an area that really needs innovation. COYO (as it is known) is an enormously energetic and ambitious company that specialises in the area of really engaging with, and fully involving, young people in the areas of sustainability in built environments and the full range of career opportunities in the construction industry. Students learn all the back ground work that needs to be undertaken, including the specialist roles of the team, and work with industry standard software to design their own buildings. Added to that they develop skills to model virtually the performance of their new designs and.... so much more. 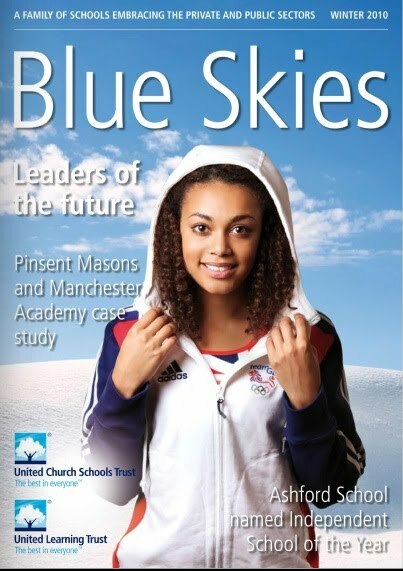 I have written about COYO before, and the blog I wrote about the students from Accrington Academy speaking at cefpi in San Jose last year was reprinted in a variety of places including the 'Blue Skies' magazine. I am convinced that there will be many exciting stories about the ambitions and achievements of COYO during the year - watch this space, it's going to be fun, exciting and unique!